San Diego Employment Law Attorneys | San Diego Sexual Harassment Attorneys, Sexual Harassment Lawyers in San Diego, CA. 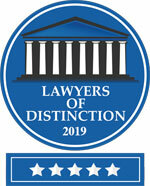 At Hogue & Belong Law we are proud to be called the best San Diego Employment Law Attorneys. At Hogue & Belong, we specialize in providing Wrongful Termination Attorneys, Sexual Harassment, Sexual Orientation Discrimination & Age Discrimination cases in San Diego, CA. Furthermore, we are also voted as a top work harassment law firm in Southern, CA. Need help or have legal questions, here are a few reasons why companies often give for firing employees are “You’re not being productive enough,” “You have too many write-ups,” or “We’re not making enough money.” Additionally, often times, this is just a reason your employer makes-up to cover up an illegal reason for your termination. In conclusion, if you need the best of the best employment law lawyers, you have come to the right place.